With the increasing number of studios offering yoga teacher training courses, in India and beyond, it can feel confusing when faced with choosing where to go. As a practitioner and teacher, I have become somewhat sceptical of the whole business of short, intensive Teacher Training courses. 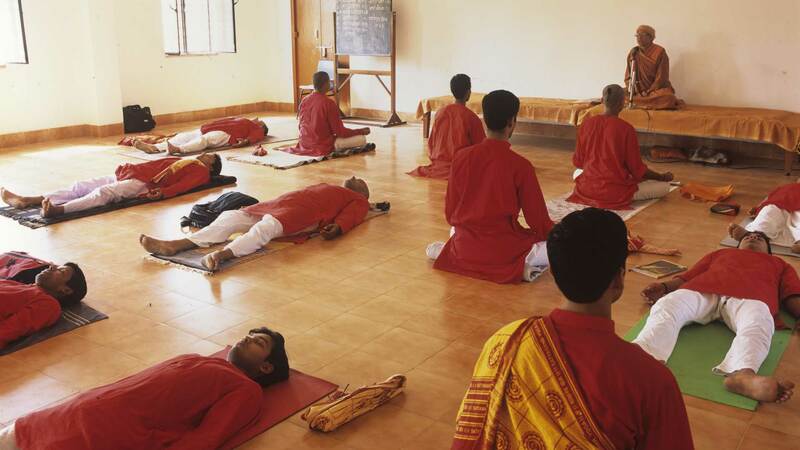 Although there are a select number of reputable centres, with experienced teachers who will provide a sound insight into the world of yoga, pranayama, teaching and practicing at a higher level – these are just a few out of the long list of ashrams and centres in India that offer quick certificates for anyone who pays the fee. When students are faced with making a decision to find a reputable place to learn, the choice may seem endless. So how to choose, and why opt for a yoga teacher training course in India? Start by considering the reasons why you want to embark on a course. Is it for further development, a break from mundane life/work routine, or a means to and end – pursue a career in teaching? These questions will already provide some insight into where to go and what (not) to do. The term “intention” may be overused in the yoga world, but when deciding to embark on a potentially life changing journey, one has to step back a little, pause and think before jumping in. What is really your intention? Are you seeking to learn more beyond the practice of yoga asana taught in classes? Do you have a sincere drive to teach and share the practice of yoga? Are you looking for a change in career and suddenly thought yoga might be a pleasant option? Try to be honest with yourself and the purpose of this journey. What is your experience of India and Asia? How well do you deal with being out of your comfort zone for more than a few days? Think about the very basics: food, diet, hygiene, tolerance to heat, dust and dirt. Note that India is a large subcontinent, so elements such as food, climate, cultural rules or habits will vary vastly across regions – for instance, wearing skimpy yoga clothes outside the shala may be acceptable in Goa, but definitely not in Bihar, Varanasi or Rishikesh. Take this all into account before booking your next flight to Delhi. Do any of these issues genuinely bother you or are you a well traveled student of yoga who knows where to find the babas in their caves? Class numbers and teaching hours. How big is the class? Smaller groups can create a fascinating learning experience. This will partly determine how much attention you might receive during the training, and how much practice/teaching/assisting time is actually involved. Don’t just rely on the Yoga Alliance label. All courses now have the YA UK or US certification, which is essentially a basic standard with very few checks made on yoga schools, and no real guarantee that this particular training might be of great value. Still, this seems to be what students look for as a ‘label’, but there are so many 200hrs TTC in various styles of yoga that this becomes a source of greater confusion than a mark of quality. Check who will really be teaching you during the TTC. Some TTC have a well known teacher ‘leading’ the course- but in reality, the ‘contact hours’ (=time spent with that teacher) may be very little and students are left with junior teachers with far less experience. Often a reason for disappointment. The greater the name of the teacher, the lesser the chances this guru will actually be spending the entire day with you. Remember, a few decades ago, most Western travelers had far less information, communication, knowledge and ease of travel. Now we just google, click and ‘check out’ the virtual world, whereas a few years back, most keen yoga students just took a leap of faith, followed their gut feeling and went to the ‘source’ of their teachings. For Ashtanga practitioners, it would be Mysore – the application process was far simpler than today (anyone with at least 2 months’ experience with an Authorised or Certified teacher may apply to practice at the KPJAYI, but with hundreds of online applications each month, being accepted is a bit like playing the lottery). 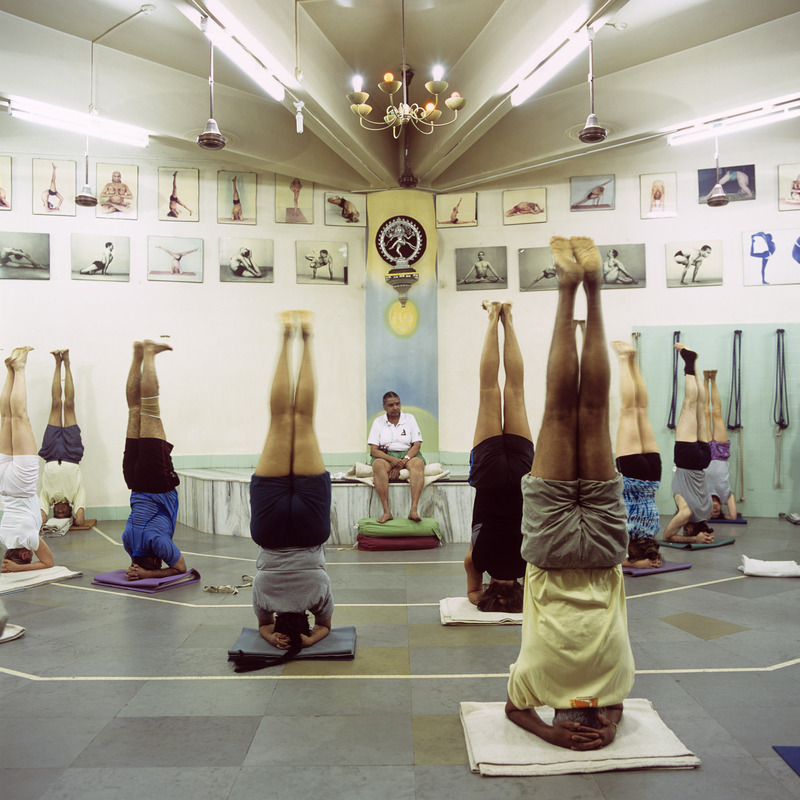 Iyengar Yoga students on the other hand, have to study with a senior teacher for several years before being allowed to join a waiting list to study in Pune with the Iyengar family. The wait may be long, but the demand is high and the system requires years of training under strict guidance before going further into practicing at the source. This is however different for Indians, who still find their way into the Institute as beginners. None of those two schools offer any form of teacher training course, but provide the highest level of yogic education at the source of the teaching. The Sivananda School of yoga however, was one of the first to launch and spread worldwide centers for education and teacher trainings. One month, intensive study and practice – full stop. Pick from an ashram in the Bahamas, California, Himalayas or France. Wear the yellow white uniform, do your karma yoga (which includes daily chores and basic work around the ashram) and sleep in shared accommodation. They still offer popular, accessible and quality courses around the world, but many people now prefer more comfortable options. Single room en-suite with a hot shower. Two home cooked meals a day, possibly vegan, ayurvedic or raw? The choice is endless. But really, why are there just so many places offering yoga teacher training courses? To follow our growing needs or wishes as complex and demanding human beings, these courses have flourished to offer us just that. What we want, when and where we want. In some cases, it becomes simply an intensive yoga holiday/course when you pay the money and walk off with a lovely certificate stating that you can teach. No wonder the market is saturated with both ‘qualified’ teachers and resorts offering seemingly authentic teachings. The blurred boundaries of quality courses versus quick fix trainings can be a treacherous path to follow. So how can one pick out the good from the crowd? (usually the answer is to ask around, do some research, check the course outline, teachers and their own teaching credentials). You need advice in choosing the ‘right’ course in India?? Then start by discovering what you are doing right now in your yoga practice (are you simply fascinated by the physicality of the asana or are you seeking a deeper insight into philosophy, history or meditation for instance), why you are doing it and how much effort and time you wish to invest. Remember, yoga is a daily, lifelong practice that flows through every second of your being, not something you do an hour or two a day. If the course you embark on will help you follow the path to your own self realisation, then it is a good start. If you can, find the source of your teachings (or your teacher’s teachings) and make your way there. Very often, your tradition or lineage of yoga will direct you to one or a few places in India. Perhaps you won’t walk off with a piece of paper after one month, but what you will learn will be invaluable. Some traditional institutions to learn Yoga in India. Sivananda – they offer a more typical 200 hrs TTC (however, note that Sivananda is a very spiritual system with a limited asana part, hence it is often less popular in the West. Qualified Yoga teachers will have a sound foundation, but often spend time teaching at Sivananda studios back home, as ‘service’ to the community). Krishnamacharya – they do offer a TTC – lesser known but highly regarded school, they teach classical yoga and the result is always an individual one to one class, for you and in general also for your teachings, very different from the rest. Bihar School of Yoga and National Universities (ie. Morarji Desai National Institute of Yoga in Delhi) – a traditional Ashram style/university education in a time range for a TTC from some months up to 1 year. Our guest author Inna has been practising yoga for over a decade and teaching since 2008. With a background in media, anthropology and a stint in PR, she experimented with a variety of yoga paths, before deciding to trade her desk for a yoga mat, and embark on an intensive yoga training course in India. Inna is fascinated by yoga in all its forms, its effects, and the intricate links between physical and mental well-being. As a teacher, she loves seeing the changes in people, being a witness, an observer and sometimes a guide, and inspiring students and friends to practice, evolve and grow stronger on so many levels. Inna is also a freelance writer and loves sharing her passion for yoga, travel and the environment both off the mat and across the globe. Yoga need to be understood in depth before teaching. Few asana does not mean yoga. India is the birth place of Yoga.. so no doubt you can find many teachers who went deep inside.. Thanks for the well written article. A certification is just an entry point to understand Yoga as a system, provided one learns from a right place. One of the best ways to narrow down is to findout whether the Yoga school is connected to a living spiritual tradition. This would ensure that the student would get right knowledge of Yoga as a system.